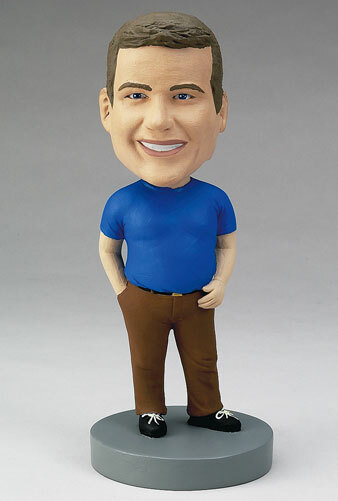 Get this custom bobblehead for your middle-aged man who may be losing some of his physique. It can be a funny gift for his retirement, a quirky way to decorate his desk at work, or a unique over-the-hill birthday present. Customize the bobblehead with a personal outfit and accessorize him. Add a base engraving with a special message or important dates.